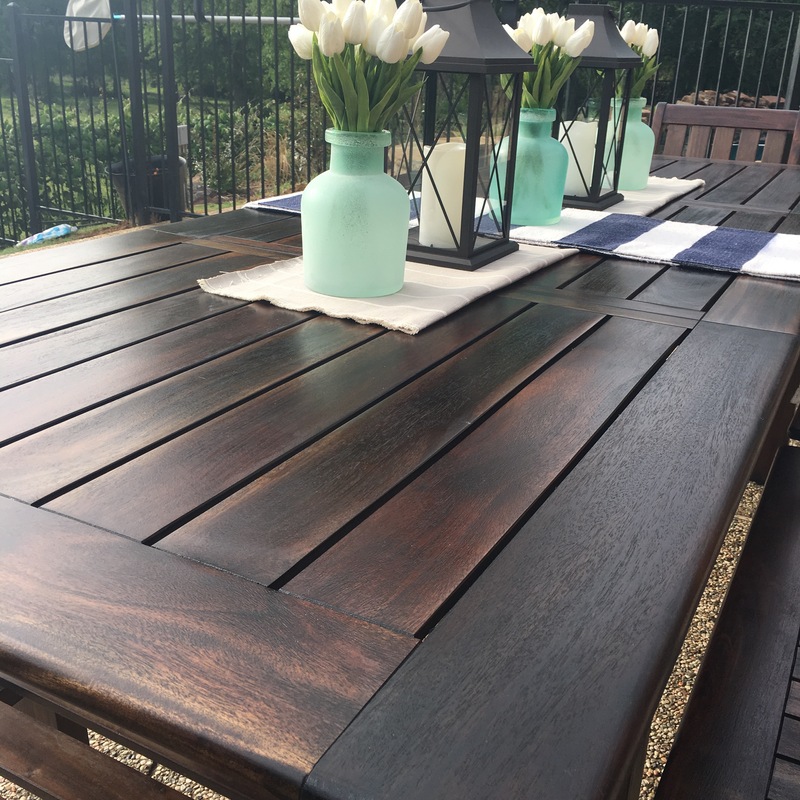 So excited to share my custom refinish project on this outdoor patio furniture! 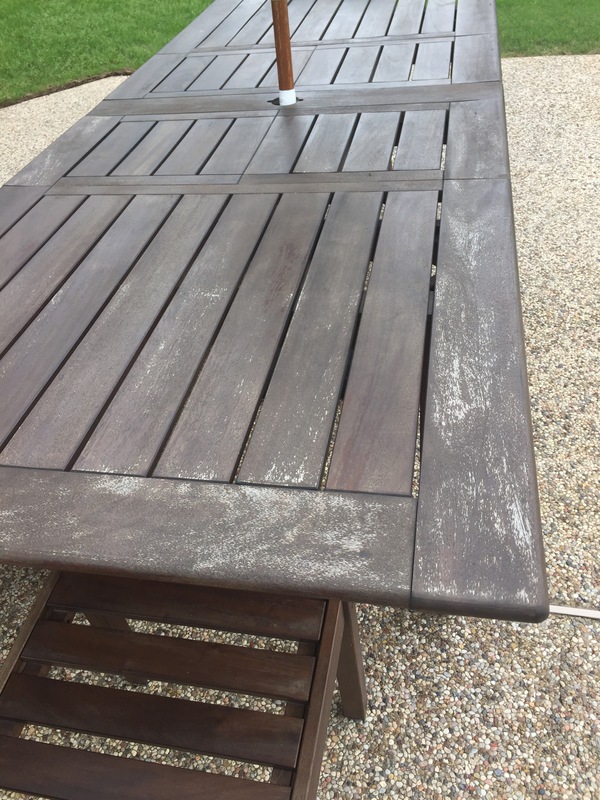 My client’s Pottery Barn patio table and chairs were loosing their luster. The stain was chipping off, and it was warped in a few spots. The mahogany was so weathered that it had turned gray! 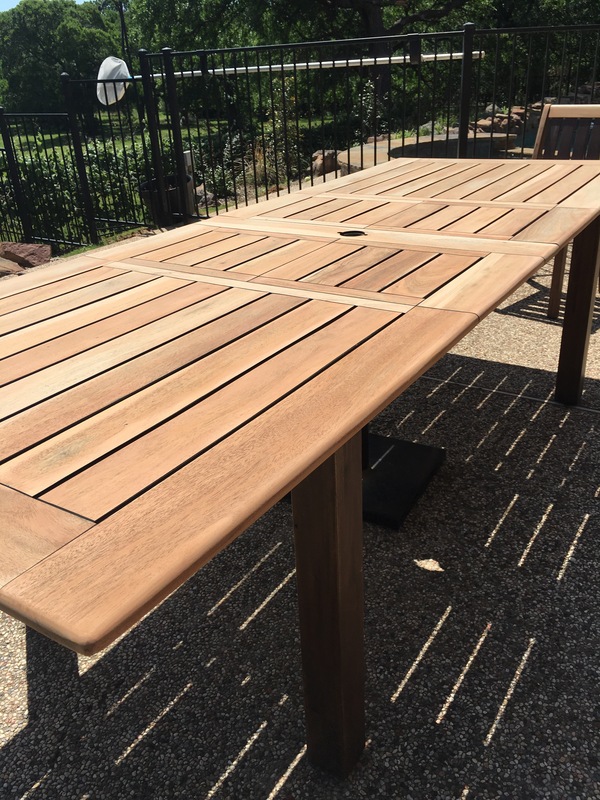 This is a fairly common problem with outdoor furniture, but can be easily repaired with a little elbow grease and oil-based products. I wanted a topcoat that would hold up better than it had before. We also wanted to match the top to the color of the legs and keep that dark rich look. I’d heard a lot of good things about Thompson’s Water Seal and did a test board of it on top of my stain. 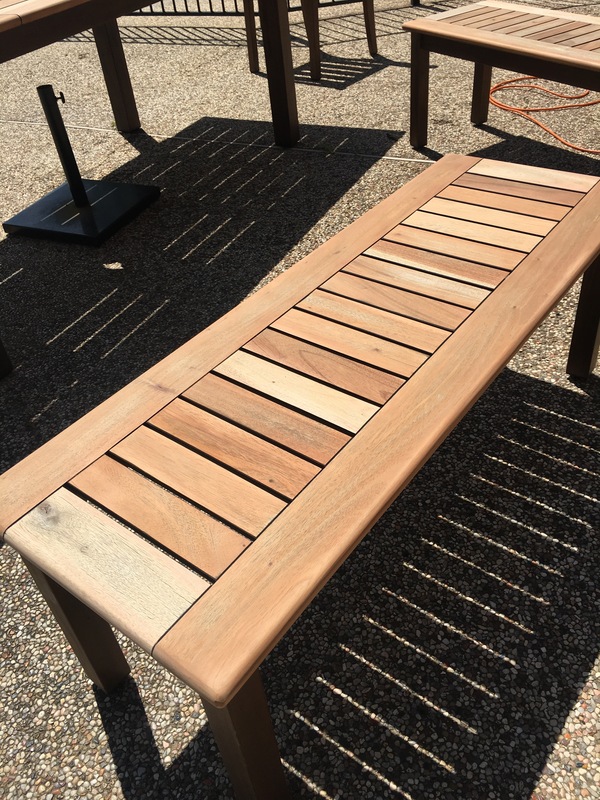 The results were not good, and after a lot of research, I learned that Thompson’s is best on untreated wood. Remember that… somewhere in your vast hoards of mental data! Since we needed to go over the top of stain, Thompson’s was out. I ended up doing more research, sample boards, and talking with several pros! My neighbor showed me the teak oil he used on his boat, and that got me thinking about how boats take a real beating, but still look great. So I checked with my friends at Benjamin Moore and they led me to Old Master’s Marine Varnish. An amazing product used on boats! I was thrilled! After a few more successful test boards, I was ready to go! 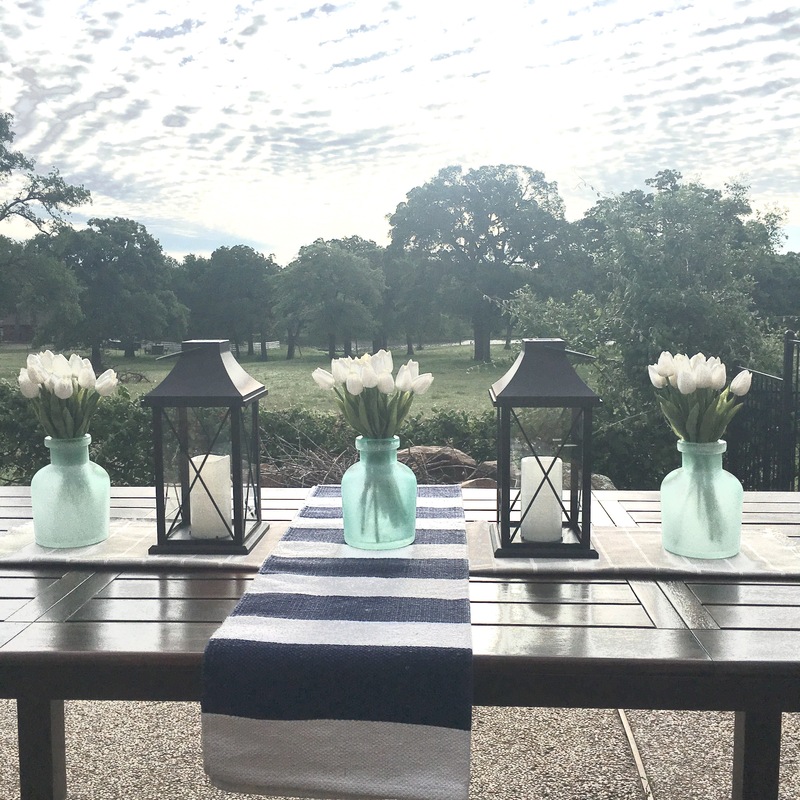 The weather was amazing for this outdoor project! These longhorns were very patient with the noise from my power sander! 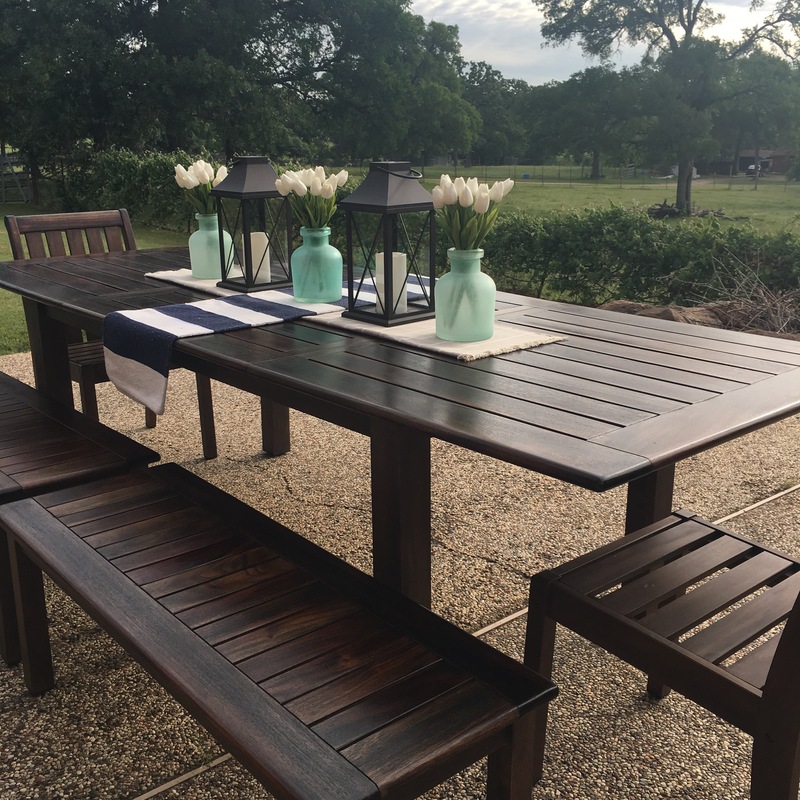 I think I’m developing a little love affair with mahogany… it’s gorgeous!! 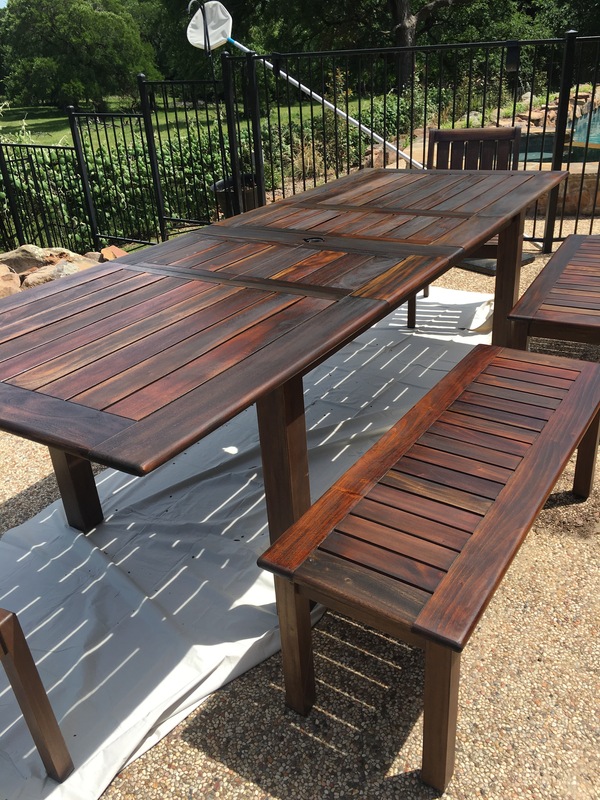 I had a slight panic attack after the first coat of stain. My sunglasses were making it look bright orange and green! When my client came by I began to apologize and she said she didn’t see what I was seeing! It was only later that I took off my sunglasses and the color was corrected! Phew! The varnish went on smooth and I just love how this gorgeous set turned out! 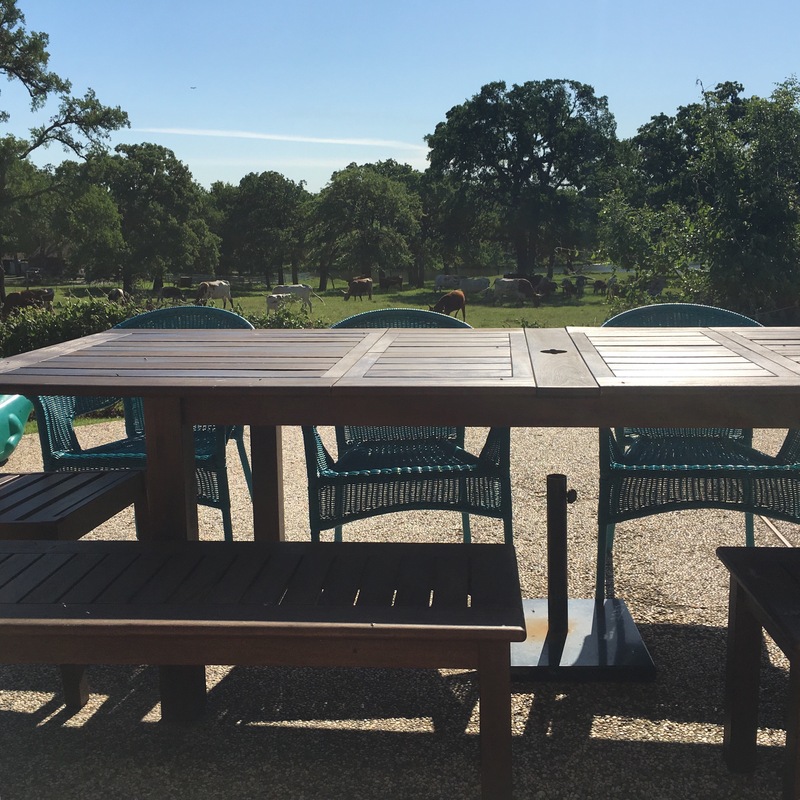 This table and seating came out so beautifully, but the best part was seeing my client’s excitement over it! 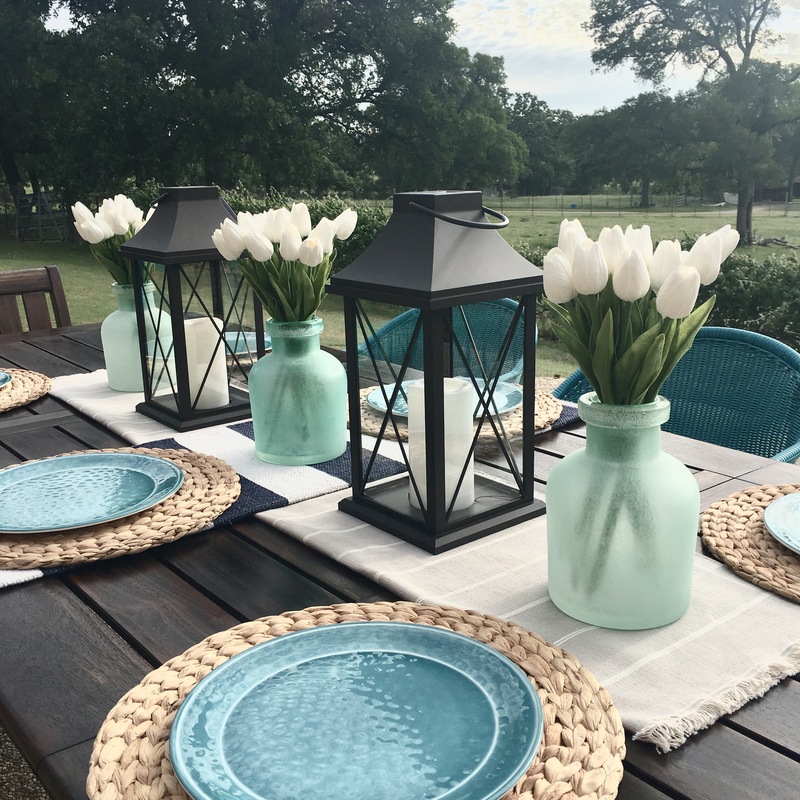 I’m so grateful I got to be a part of this table’s journey!